It'a always a pleasure to hear from you! Please fill in the form below to send us a message. We will get back to you within 24 hours. The form has been successfully submitted. Thank you! From Allen Junction, drive down to Opebi Roundabout and turn back to Allen Avenue road. Keep driving towards the former Alade Our Studio is in the same building as Aptech, Wuraola House, and it is immediately after GTB and before Access Bank. We are on the 2nd Floor of Wuraola House, 82 Allen Avenue, Ikeja. Alight from the public transport at Allen Junction Bus Stop. From Allen Junction, walk down Allen Avenue road traffic for about 2 minutes facing the oncoming traffic. Look out for Ecobank, Access Bank, Citi Bank or GTB – they are all after each other on the same side of the road. Our Studio is in the same building as Aptech, Wuraola House, Our building is immediately after Access Bank and before GTB. We are on the 2nd Floor of Wuraola House, 82 Allen Avenue, Ikeja. From Opebi Roundabout, drive down Allen Avenue road approaching the former Alade Market. 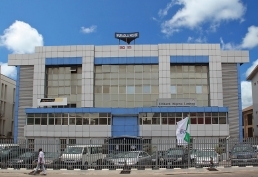 Our Studio is in the same building as Aptech, Wuraola House, and it is immediately after GTB and before Access Bank. We are on the 2nd Floor of Wuraola House, 82 Allen Avenue, Ikeja. From Opebi Roundabout, take a tricycle (Keke) down Allen Avenue road, and stop at GTB. Our Studio is in the same building as Aptech, Wuraola House, and it is immediately after GTB and before Access Bank. We are on the 2nd Floor of Wuraola House, 82 Allen Avenue, Ikeja.